Clark Fork Valley, Mont., Lodge No. 2757 used its Community Investments Program Promise Grant to build a new playground at a local school. Elks purchased supplies and held a workday where each child at the school came out to help, learning from the Elks volunteers. 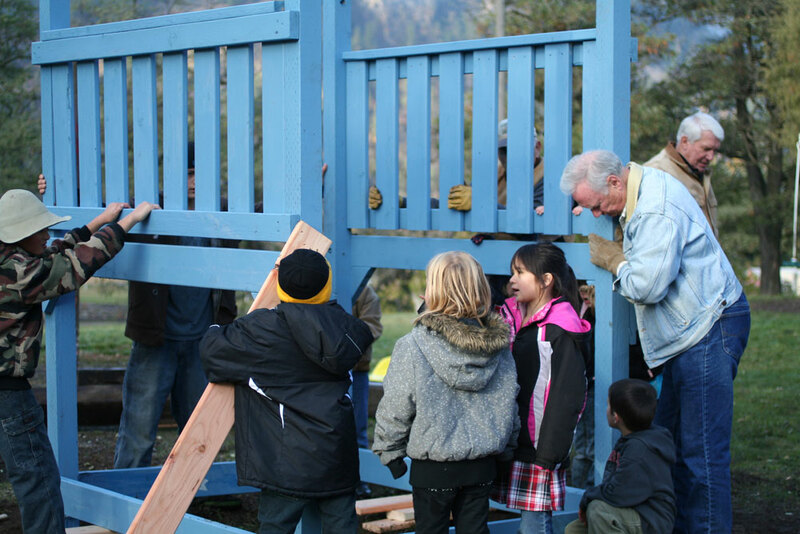 After the project was finished, a local Native American teacher showed the children how to hold a “sit-in ceremony” to commemorate their new playground. The Elks National Foundation awards $2,000 Community Investments Program Promise Grants to the first 500 Lodges that pledge to host an event that helps build the character and competence of youth in their community. 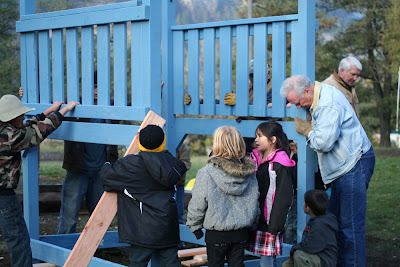 To find out more about Promise Grants and the Community Investments Program, visit www.elks.org/enf/community.